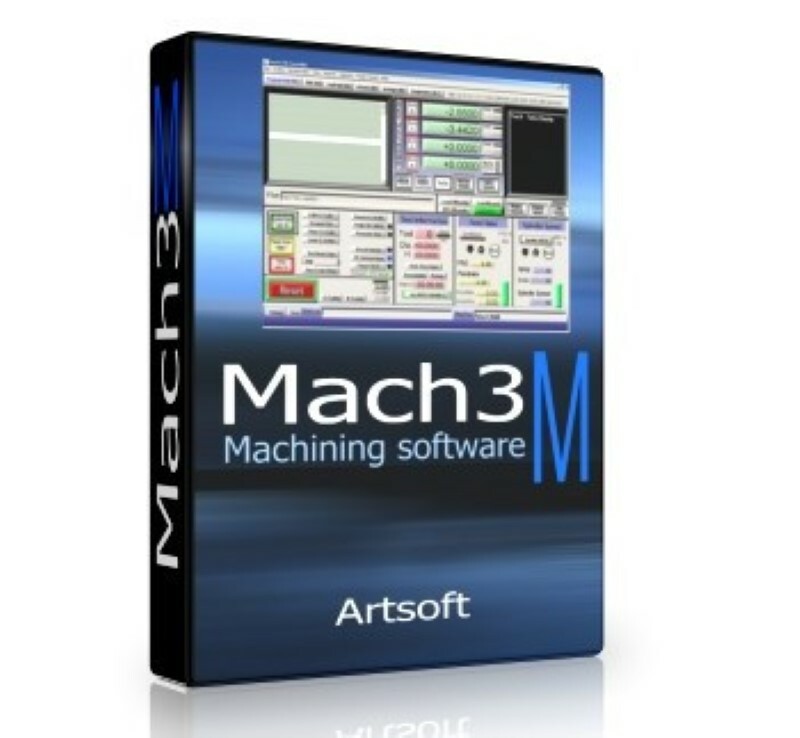 Information from the Mach4 webpage: "Mach4 is completely new software and has less than 1% of the programming code in common with Mach3. It was written from the ground up to be expandable, flexible, and extremely responsive for use with very large files on any operating system; including Windows, Apple, and Linux. While there was only one version of Mach3, Mach4 will be offered in different versions (not including the many customized OEM versions)." Type C (Fanuc) cutter compensation standard in Mach4. Synchronous Motion of up to 6 completely separate coordinate systems (instances) at the same time. Multiple heads, machines and processes to produce complex parts. Asynchronous Motion (out of band axis) to control uncoordinated motion. Multi-Axis Work Shifts and Head shifts to offset cutting tool path for multiple work piece holders and fixtures. View, rotate, pan, and scale the tool path quickly and easily to ensure G-code is creating the path you expect. Improved screen layout and easily customizable screen modification tool. Change buttons, displays, and indicators easily, quickly, and on the fly! Parallel Port Legacy Plug-in: For compatibility with Parallel Breakout Boards, Mach4 requires an additional $25 purchase for the legacy driver to run off the parallel breakout system. Navigate to "Help" tab on the top menu and select "About"
Copy Your PC-ID number and include it in the notes when purchasing or email it to customerservice@buildyourcnc.com with subject line "Mach4 PC-ID for -your name-"
After receiving the file containing your license, save the file into a folder on the same computer you have installed Mach4 on. Open Mach4 Mill and navigate to Help and About again. Click on "Load License File" and select the license file you have just saved. You will receive a confirmation message that Mach4 is registered and you will be asked to restart your computer. Instructions for Parallel Port Legacy Plug-in You will receive a file emailed to the email address you have used to register on BuildYourCNC.com unless you specify otherwise. Important Note: The Parallel Legacy Plug-in will not run on 64-bit Operating Systems. Follow the same instructions for Mach4 license file installation for the Parallel Port Legacy Plug-in. First download the demo from the downloads page, extract the files and run the program to install the demo driver. Once you have purchased a license, download the license file, save it to your hard drive, locate it in Mach4 under "Help" and "About" and then load the license file to register the plugin. As we do with Mach3, if purchasing Mach4 as an add-on with one of our Computer CNC Systems, we will preload Mach4 onto the redLeaf or redSprout at no additional charge.